When Koreans arrived in the Russian Far East between 1860 and 1920 only a small fraction of them could communicate in Russian. The vast majority remained monolingual until 1937, when they were forcibly relocated to Central Asia. Most of them are descendants of farmers from the northern part of Korea who fled that impoverished part of the country in the late 19th and early 20th century. Initially they settled down in Russia’s Primorye Territory, but in 1937 they were forcibly relocated to Central Asia. When ‘peninsular Koreans’ encounter ethnic Koreans of the former Soviet Union, they are often surprised to find out that almost none of these people are now fluent Korean speakers. The Koreans of Sakhalin Island (less than 10 percent of this former Soviet Korean community) are an exception, but they have a rather different history. The almost complete and irreversible demise of the Korean language in the Korean community in the USSR is an interesting tale. When Koreans arrived in the Russian Far East between 1860 and 1920 only a small fraction of them could communicate in Russian. The vast majority remained monolingual until 1937. At the time, Koreans lived in mono-ethnic villages, where all daily interactions could be easily done in Korean. In the early days of communist enthusiasm, national minorities were given preferential treatment in the Soviet education system. In the 1920s and 1930s, the Soviet government subsidized Korean language education. In fact, in the 1930s, the USSR was only place in the world where one could get a college education in Korean. The Vladivostok Pedagogical Institute held this honor. In the 1930s, more or less every Korean village in the USSR had its own Korean language schools. Korean newspapers were published and radio broadcasts done in Korean. All this changed suddenly in 1937, when the Soviet government decided that in case of a war in the Far East, the Korean population could not be relied upon and hence must be relocated elsewhere. They were forcibly sent to rural parts of Central Asia, to be dispersed among the local communities there. Many Korean intellectuals were slaughtered in the wave of terror that was engulfing the Soviet Union at the time and as a result the community’s educational infrastructure suffered greatly. However, it was attitudes toward Korean language education that would be one of the relocation’s lasting effects. Until the 1930s, Korean parents expected their children to do what their ancestors had done from time immemorial. 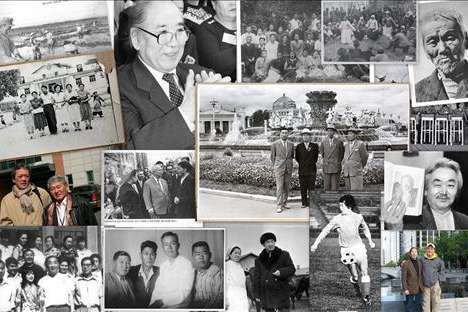 But from the late 1930s, Koreans living in the USSR became drawn to cities and universities. In the 1920s, the dream of many Korean parents for their children was a large farm with many good oxen. Twenty years later, this dream had been replaced by that of a medical degree. In the process of the community’s geographical displacement and urbanization, the Korean language became an obstacle. The best colleges and universities taught exclusively in Russian. Hence, Russian fluency would greatly increase the chances of academic success. The Korean language soon came to be seen as both politically suspicious and economically burdensome. In the early 1940s, Korean language schools in Central Asia were closed. Contrary to popular belief, this closure was initiated and enthusiastically supported by Korean parents who believed that a Russian language education would dramatically enhance their child’s career prospects. The Korean language remained on the curriculum, but merely as an optional subject (decisively unpopular with both children and their parents). As a result, people born after 1940 learnt to speak, at best, basic Korean. And most probably did not feel particularly bad about it.